Volume status checks are automated tests that run every 5 minutes and return a pass or fail status. 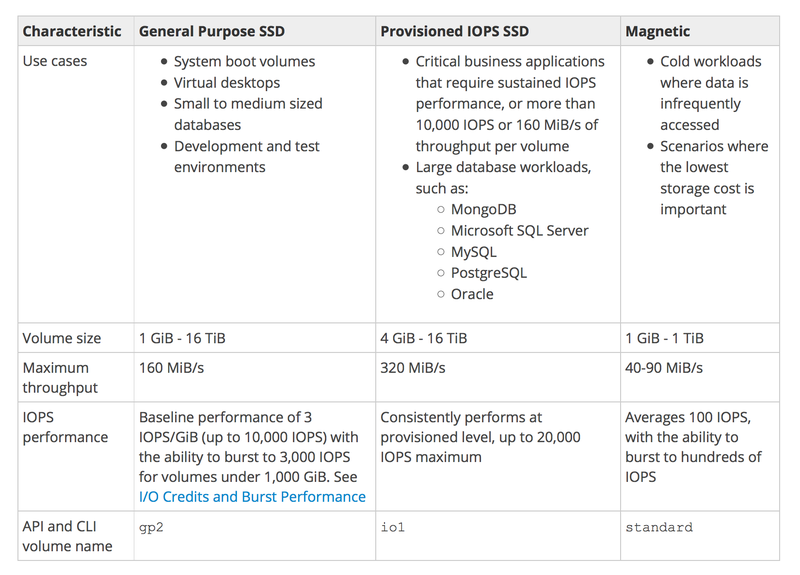 I/O performance status checks, applicable only for Provisioned IOPS (SSD) volumes, compares actual volume performance with the expected volume performance and alerts if performing below expectations. This status check is performed every 1 minutes, however is collected by CloudWatch every 5 mins. While initializing Provisioned IOPS (SSD) volumes that were restored from snapshots, the performance of the volume may drop below 50 percent of its expected level, which causes the volume to display a warning state in the I/O Performance status check. This is expected and can be ignored. The I/O queue is buffer flushing. Your EBS disk head(s) is/are seeking magnetic stripes. You need to re-mount the EBS volume in the OS. General Purpose SSD volumes offer cost-effective storage that is ideal for a broad range of workloads. General Purpose SSD volumes can range in size from 1 GiB to 16 TiB. General Purpose SSD volumes has a maximum throughput of 160 MiB/s (at 214 GiB and larger). GP2 provides the ability to burst to 3,000 IOPS for extended periods of time for volume size less then 1 TiB and up to a maximum of 10,000 IOPS (at 3,334 GiB). switching to a Provisioned IOPS SSD volume for workloads that require sustained IOPS performance greater than 10,000 IOPS. I/O credits represent the available bandwidth that your General Purpose SSD volume can use to burst large amounts of I/O when more than the baseline performance is needed. General Purpose SSD volume size also determines how quickly it accumulates I/O credits for e.g. 100 GiB with a performance of 300 IOPS can accumulate 180K IOPS/10 mins (300 * 60 * 10). Each volume receives an initial I/O credit balance of 5,400,000 I/O credits, which is enough to sustain the maximum burst performance of 3,000 IOPS for 30 minutes. Initial credit balance is designed to provide a fast initial boot cycle for boot volumes and a good bootstrapping experience for other applications. Unused I/O credit cannot go beyond 54,00,000 I/O credits. Volumes larger than 1 TiB have a baseline performance that is already equal or greater than the maximum burst performance, and their I/O credit balance never depletes. are designed to meet the needs of I/O intensive workloads, particularly database workloads, that are sensitive to storage performance and consistency in random access I/O throughput. 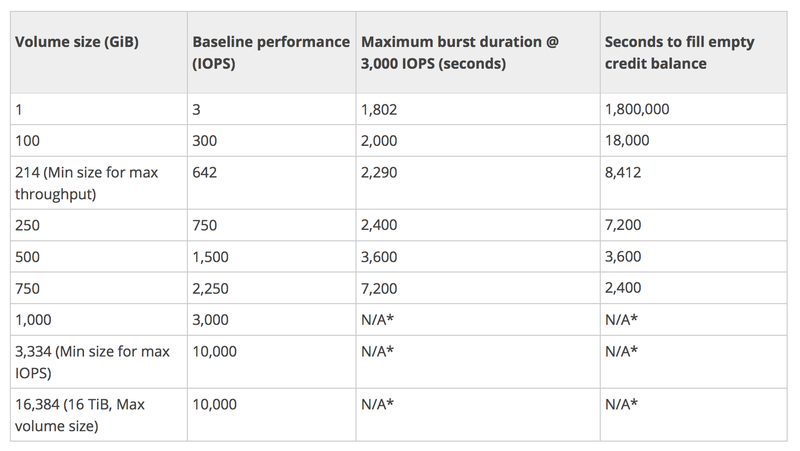 IOPS rate can be specified when the volume is created, and EBS delivers within 10 percent of the provisioned IOPS performance 99.9 percent of the time over a given year. can be provision up to 20,000 32,000 IOPS per volume. Ratio of IOPS provisioned to the volume size requested can be maximum of 30 50; for e.g., a volume with 5,000 IOPS must be at least 100 GiB. provide low-cost magnetic storage that defines performance in terms of throughput rather than IOPS. uses a burst-bucket model for performance similar to gp2. Volume size determines the baseline throughput of the volume, which is the rate at which the volume accumulates throughput credits. Volume size also determines the burst throughput of your volume, which is the rate at which you can spend credits when they are available. With a lower throughput limit than st1, sc1 is a good fit ideal for large, sequential cold-data workloads. though are similar to Throughput Optimized HDD (st1) volumes, are designed to support infrequently accessed data. Magnetic volumes provide the lowest cost per gigabyte of all EBS volume types. Magnetic volumes are backed by magnetic drives and are ideal for workloads performing sequential reads, workloads where data is accessed infrequently, and scenarios where the lowest storage cost is important. Magnetic volumes can be striped together in a RAID configuration for larger size and greater performance. 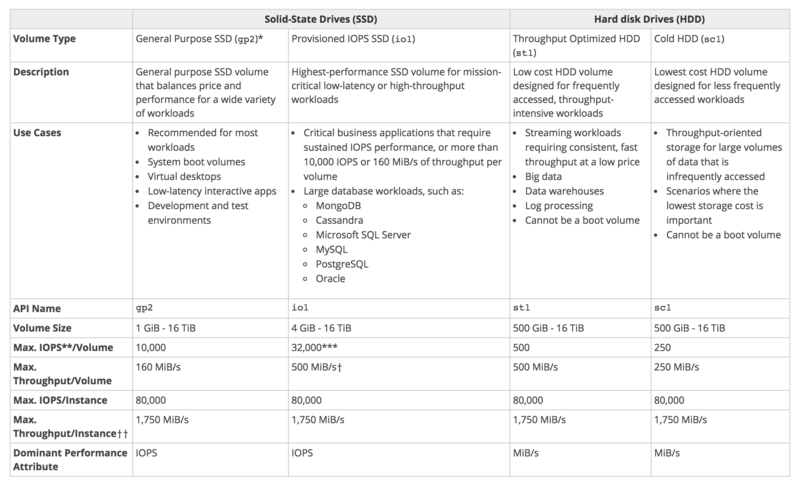 Which EBS volume type is best for high performance NoSQL cluster deployments? A user is trying to create a PIOPS EBS volume with 8 GB size and 200 IOPS. Will AWS create the volume? A user has provisioned 2000 IOPS to the EBS volume. The application hosted on that EBS is experiencing less IOPS than provisioned. 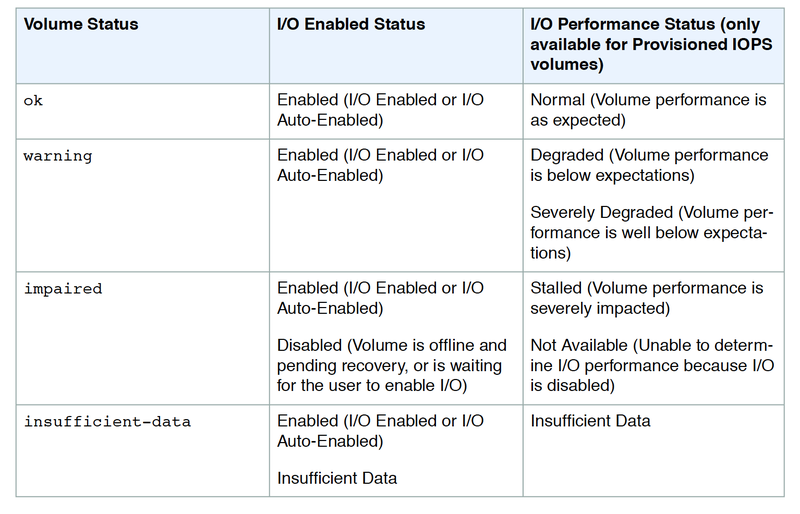 Which of the below mentioned options does not affect the IOPS of the volume? A user is trying to create a PIOPS EBS volume with 4000 IOPS and 100 GB size. AWS does not allow the user to create this volume. What is the possible root cause for this? 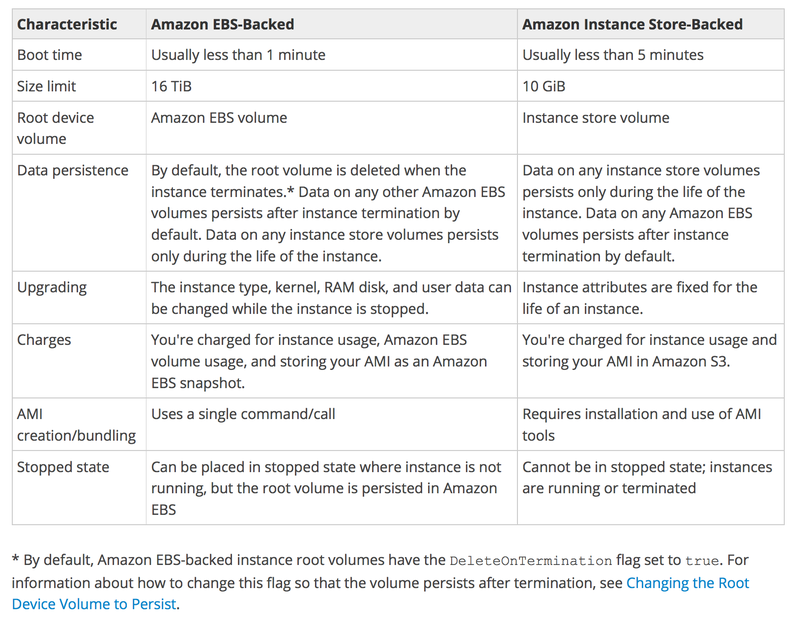 EC2 Instances can be launched using either Elastic Block Store (EBS) or Instance Store volume as root volumes and additional volumes. 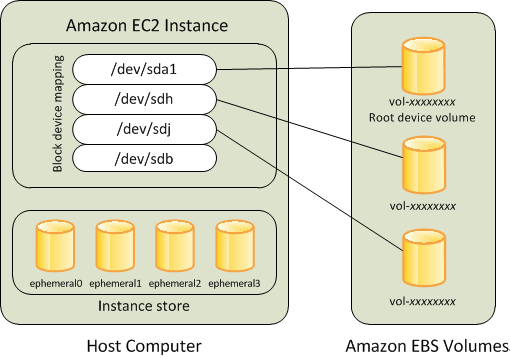 An Instance store backed instance is an EC2 instance using an Instance store as root device volume created from a template stored in S3. Instance store volumes accesses storage from disks that are physically attached to the host computer. When an Instance stored instance is launched, the image that is used to boot the instance is copied to the root volume (typically sda1). 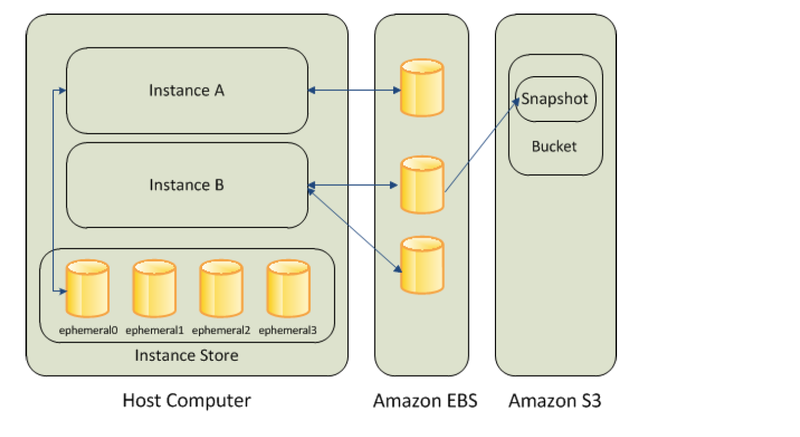 Instance store provides temporary block-level storage for instances. 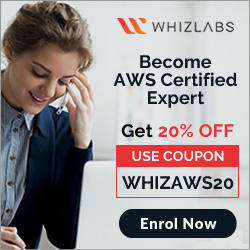 Data on an instance store volume persists only during the life of the associated instance; if an instance is stopped or terminated, any data on instance store volumes is lost. 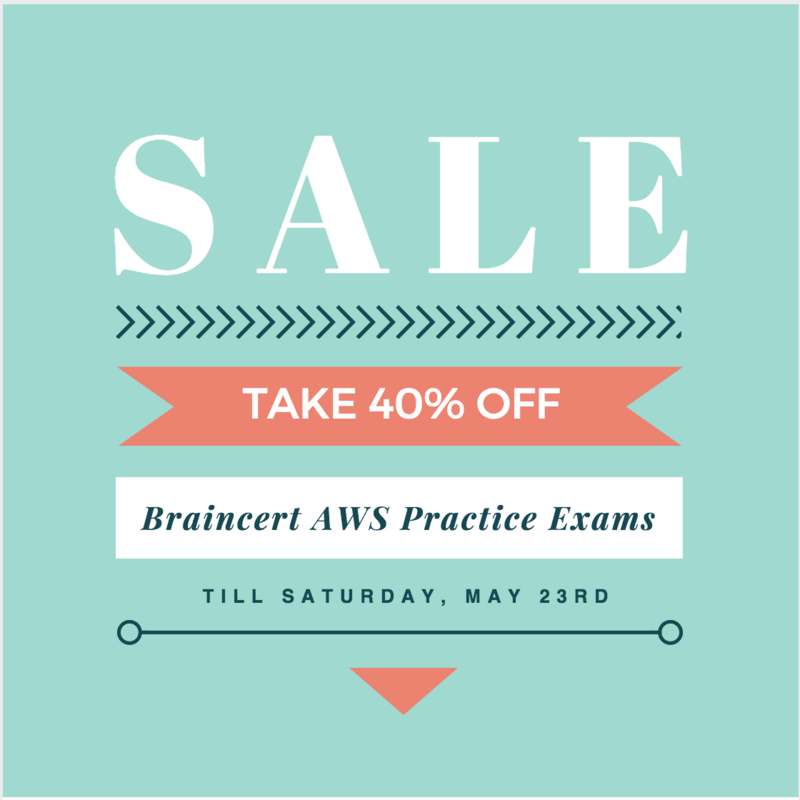 back up critical data from the instance store volumes to persistent storage on a regular basis. An EBS volume behaves like a raw, unformatted, external block device that can be attached to a single instance and are not physically attached to the Instance host computer (more like a network attached storage). Volume persists independently from the running life of an instance. After an EBS volume is attached to an instance, you can use it like any other physical hard drive. for attached EBS volumes, if the Delete On Termination flag is disabled, which is the default. EBS-backed AMIs launch faster than EC2 instance store-backed AMIs. 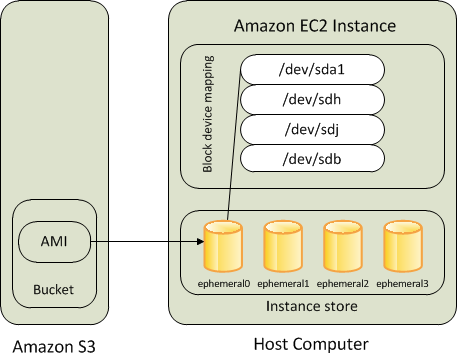 When an EC2 instance store-backed AMI is launched, all the parts have to be retrieved from S3 before the instance is available. With an EBS-backed AMI is launched, parts are lazily loaded and only the parts required to boot the instance need to be retrieved from the snapshot before the instance is available. However, the performance of an instance that uses an EBS volume for its root device is slower for a short time while the remaining parts are retrieved from the snapshot and loaded into the volume. When you stop and restart the instance, it launches quickly, because the state is stored in an EBS volume.